Radio Host's Mom Recounts Nebraska Childhood Ellene Montagne learned to make her own fun growing up with four siblings on a large farm in Nebraska. She passed her spirit of adventure on to her daughter, Renee. 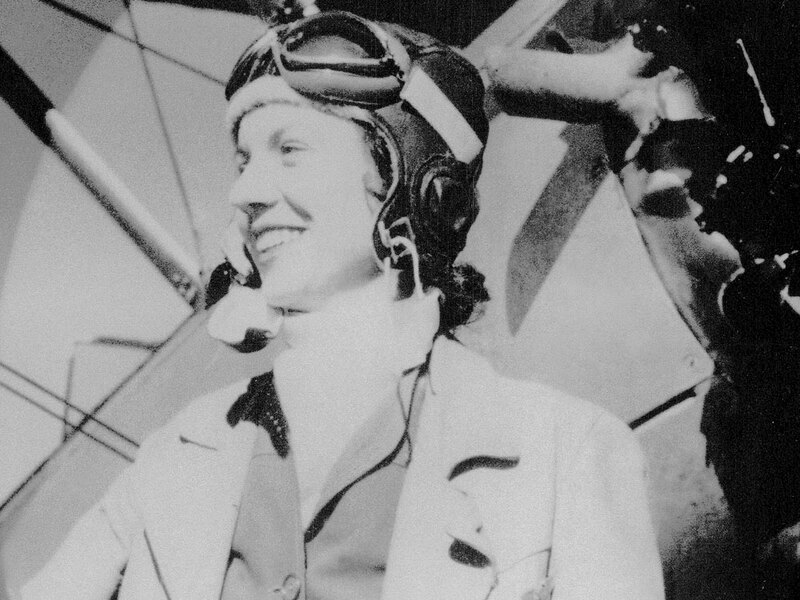 Ellene Montagne decided at 10 she wanted to be a pilot. She's pictured here in 1947 near Fort Belvoir, Va., where she learned how to fly at a local airport. 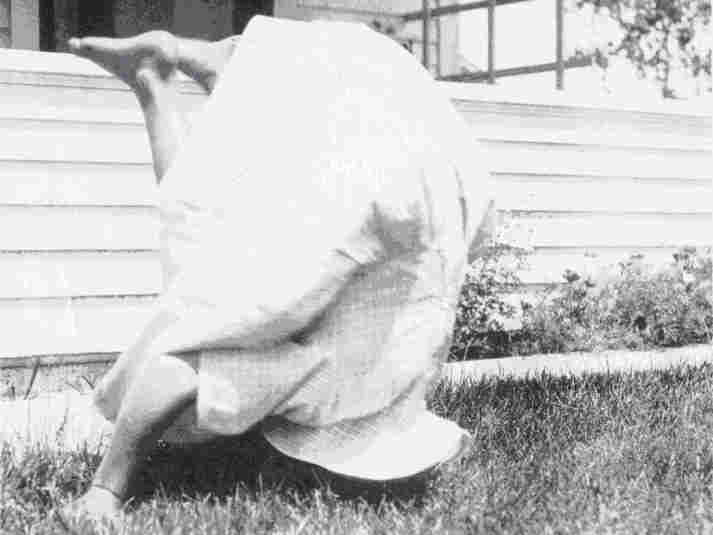 Ellene Montagne grew up on a farm in Hay Springs, Neb., where she says they made their own good times. "Well you have to make your own fun on a farm, you don't just sit around and read all the time," Ellene tells her daughter, NPR's Renee Montagne. 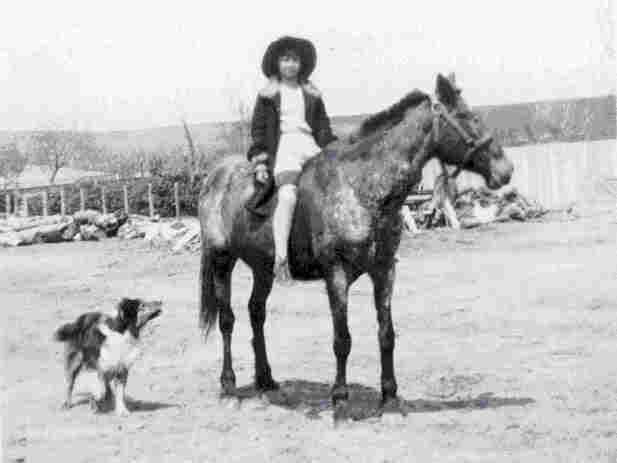 Ellene riding her horse Midget in 1929, while her dog Trigger walks along beside them. "I do remember once when I decided to stay away all day and see if anybody'd miss me, so I hid in the haystack," she says. "Time went by and nobody called me and finally when I went in the house, not a soul had missed me. I sat in my room and cried because I didn't think they cared about me." When Ellene was 10 she won a ticket for a free ride in a barnstormer — planes that would visit different towns and do stunts. "I got to go up and do all the stunts and I never forgot that," she says. "And I was planning to go to aviator school when I graduated from high school and get my license, and I was going to be a mailman." 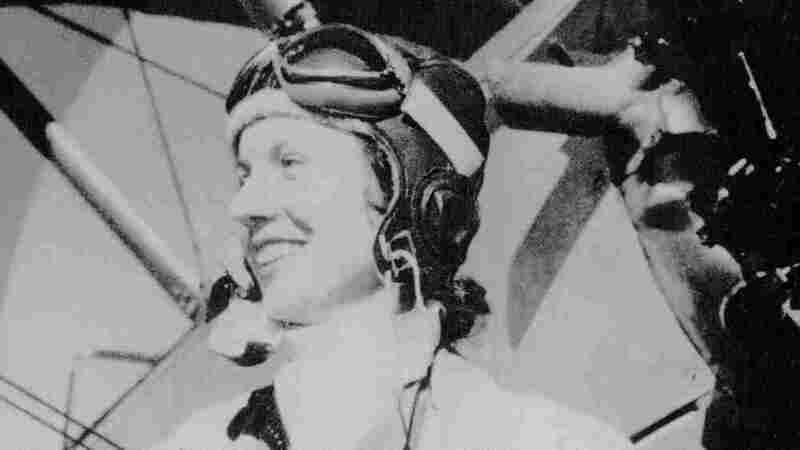 Later, when Ellene lived in Ft. Belvoir, Va., she and a friend did learn how to fly. "We'd go out to the local airport, take a bus every time we had enough money and fly for an hour or so." Ellene was a spirited kid, doted on by her older brothers. Ellene gives some credit for her sense of adventure to her being the baby of five children. "I was forgiven the most probably, which allowed me to try anything I thought up," she explains. "I think I've passed it on to you, Renee, but you certainly expanded on it more than I did." Friday is the National Day of Listening — a chance to sit down with a loved one, turn on a tape recorder and ask that person about his or her life. You can find tips on how to record your conversation at nationaldayoflistening.org.